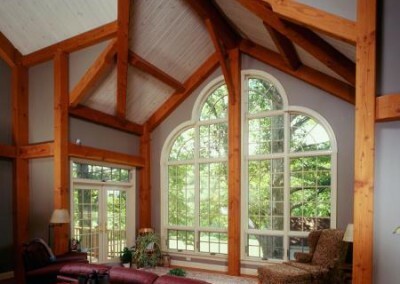 Schwartz | Lancaster County Timber Frames, Inc.
Sited on a wooded lot in Chester County, Pennsylvania, this timber frame structure is an addition to an old stone farm house built in 1779. 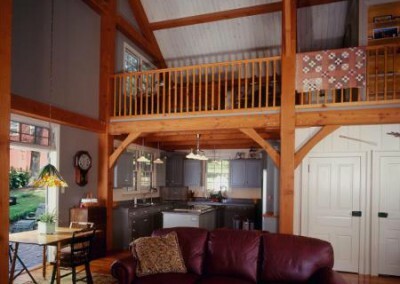 The addition houses a kitchen and dining area, living room and loft sitting area. 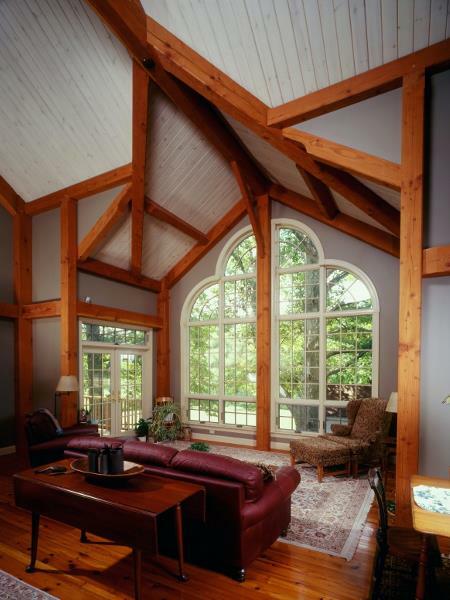 The living room has a gabled bump-out that is fully timber framed with the intriguing compound joinery of timber valley rafters. 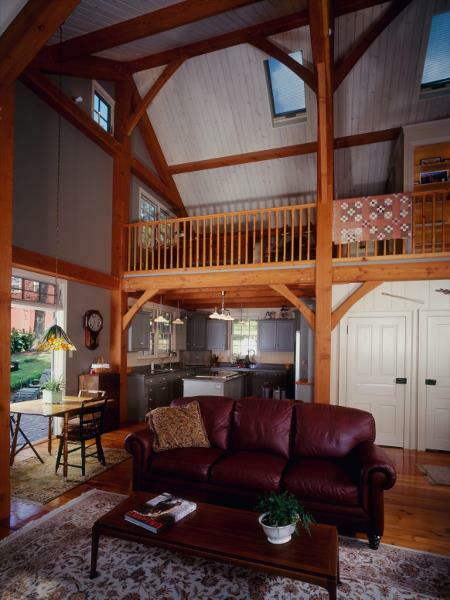 The bump-out provides a sitting area with view of the woods and a meandering creek. 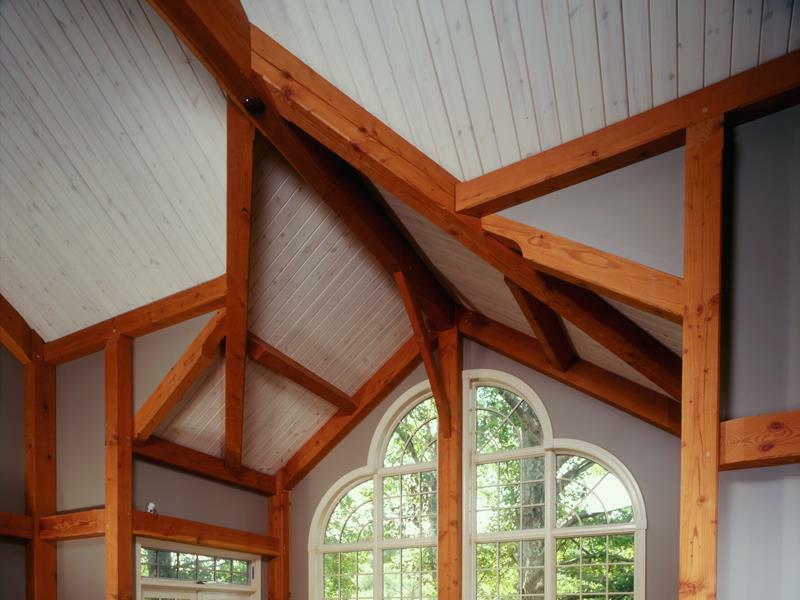 The roof boards have been given an almost opaque white wash, which both brightens the space and offsets the oiled timbers, accentuating the linearity and sculptural quality of the timber framework. Designer: Client with Lancaster County Timber Frames, Inc.